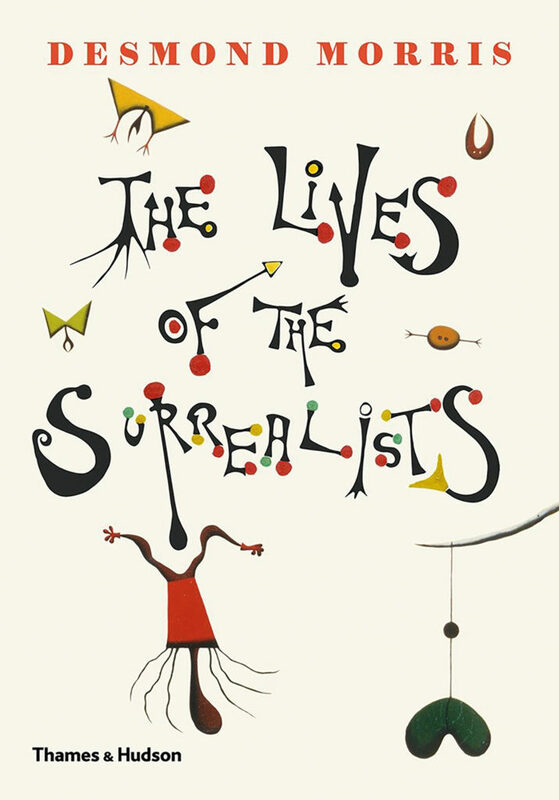 Surrealist poetry can be sourced back to the 19th century French Symbolists, including Lautremont, Mallarme, Rimbaud, Verlaine and Baudelaire through Freud and Jung, embracing stream of consciousness, automatic writing and bizarre juxtapositions of elements from the world of dreams. 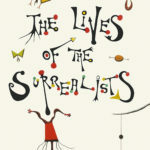 Surrealism as a visual art movement, as opposed to a literary and philosophical movement was, surprisingly, unwelcome to Andre Breton, the authoritarian and, apparently, thoroughly obnoxious and dictatorial leader of a movement which, by its very nature, should have been unfettered and uninhibited. Breton rejected individualism and expelled from the group any artist who refused to toe the surrealist party line which – in practice – was most of them. There were many comings and goings within the group. 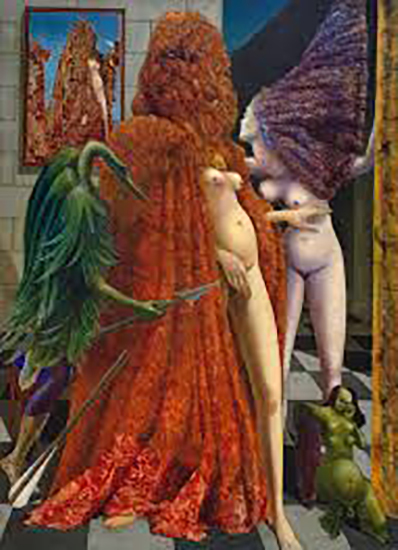 The key surrealist painters included Max Ernst, Yvette Tanguy, Joan Miro, Leonora Carrington, Eileen Agar, Salvador Dali, Rene Magritte and Giorgio de Chirico. Desmond Morris approaches his task like a latter-day Vasari, author of the Renaissance classic The Lives of the Artists (Vasari’s contemporaries were the likes of Michelangelo, Da Vinci and Raphael: what could possibly go wrong?). Morris devotes a chapter each to the often mind-boggling biographies and artistic achievements of over thirty visual artists, many of whom were known personally to him. All of the best known surrealist painters are included and the generously wide net hauls up a few who do not immediately spring to mind as surrealists, such as Giacometti, Francis Bacon and Picasso. Desmond Morris (he seems to have dropped the title ‘Doctor’) goes back a long, long way. Put it this way: I was born in 1949; Desmond was exhibiting paintings alongside Max Ernst and the like in the previous year, 1948. As a child I eagerly waited each week to see him present Zoo Time on TV, featuring the famous painting chimpanzee, Congo. According to Morris, Salvador Dali rated Congo’s paintings some way above those of the Abstract Expressionist, Jackson Pollock, which gives a taste of the sort of crazy territory we are in here. From the point of view of this reviewer, Desmond Morris has had the three best jobs in the world during his long and continuing career: Curator of Mammals at London Zoo; Director of the Institute of Contemporary Arts; best-selling author (The Naked Ape, The Human Jungle, etc.). Truly a Renaissance man he has produced a very readable and enjoyable survey of one of the great modern art movements and includes some excellent photos of the artists in their prime as well as reproductions of examples of their work.